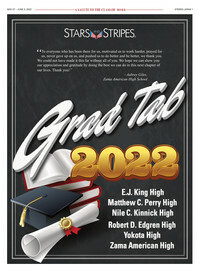 As a service to the military communities in the Pacific, Stars and Stripes publishes the Graduation Tabs annually. 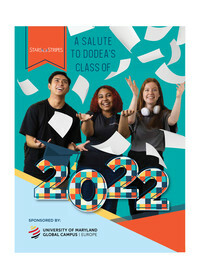 These Tabs include the names of all Department of Defense Dependents Schools (DoDDS) students in that year’s graduating class, as well as photographs and stories supplied by the students throughout the school year. The Graduation Tabs are distributed through Stars and Stripes’ daily editions throughout the Pacific.